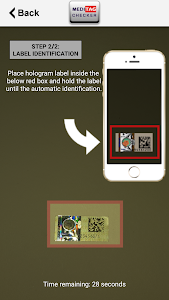 which carry optical security features. 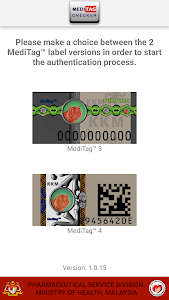 label to be compared with the label under various angles. 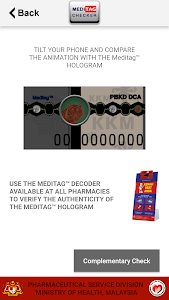 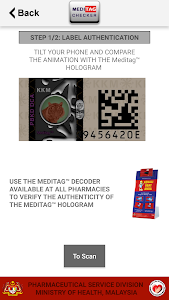 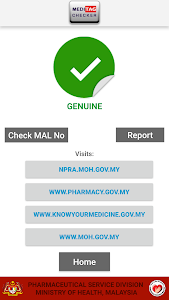 In the version 4 of the MediTag™ Holograms, the app enables to authenticate by scanning the 2D Datamatrix and guarantee a good traceability of the pharmaceutical product. 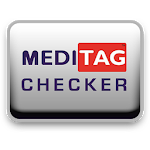 In this version a bug is fixed.